By Matt Reimann. Jun 24, 2015. 9:00 AM. George Orwell is still one of today’s most coveted political thinkers. Although he died 65 years ago, it’s remarkable how politicians from all ends of the spectrum work to claim his posthumous blessing. Liberal or conservative, everyone believes herself to be part of the great fight for humankind’s dignity, to which Orwell was likewise dedicated. Through the political unfurling of the last several decades — the Cold War, Vietnam, international security, etc. — many have asked: What would Orwell say? What can Orwell teach us about being a citizen today? Orwell still speaks to our time, as he will for the millennia of human governance to come. Whether he would support this law, or that war, however, is impossible to say. The true way to apply Orwell to our contemporary situation is to look at what he warned us to beware of, and what he wanted for the world. 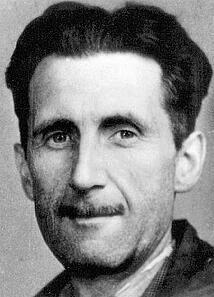 Orwell grew up in a family that made its living from the British opium trade in the Eastern colonies. This kind of trade was compulsory, and no local authority could deny entrance of the drug shipment to its port. Intoxication as pacification, as control, was the business model his family was engaged in, and for this reason Orwell would always be wary of imperialism. His first novel Burmese Days is an exploration of what he loathed about imperialism: It was sexually repressive and bigoted. These operative values formulated the oppressive and totalitarian nature of imperial occupancy. 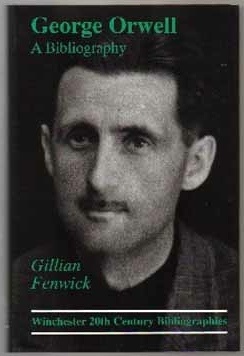 Orwell’s upbringing gave him a thorough understanding of the ravages of totalitarian relationships. Orwell loathed fascism, so much so that he wrote nearly nothing on it (Hitler, Franco) and instead fought it. Orwell went to Spain in the '30s to fight against the fascist forces in the Civil War. He was shot in the throat by a sniper. The bullet missed his spinal cord, carotid artery, and larynx, but it did graze his vocal cords. It took him two years to get his voice back to full strength, and he always had a rasp from the injury. From his hospital bed, he gathered up the determination to forever be an outspoken opponent of the abuses of power in the world. George Orwell was a great essayist. However, his most famous work of political expression is likely the short novel 1984, written while the author was dying of tuberculosis. Orwell understood the unfortunate secret that people in power don’t need to justify their power in order to acquire and expand it. Hollow promises are typically the courtesy an abusive state affords to its subjects, and such a bait-and-switch is on full display in the Oceania nation of 1984. The citizen, in exchange for promises of well-being such as food, health care, education, and security, forfeits her freedom and gets neither. The dystopia of his novel is also a perpetually warring one. Thus, the state always has a place to dislocate its citizens’ frustrations. Having an outside enemy prevents citizens from finding faults domestically, and gives them a sense of unity. As long as people accept the hollow promise of security and comfort, Big Brother, 1984’s infamous sphinx of power, will always reign. Big Brother also keeps a close eye on its citizens. Privacy is an essential quality of life sacrificed in a despotic state. Today, many nations of the world have to decide when surveillance improves safety and when it just widens the grasp of the government. Controversy over the NSA and the Patriot Act in recent years have been manifestations of this issue. With internal surveillance also comes the issue of handling the flow of information, both outward and inward. Orwell’s Big Brother famously employs Newspeak, a modification of language whose purpose is to suppress dissent and obscure state action. There isn’t a nation on earth which believes its government never lies, or never conceals the truth. The issue is of course when that freedom of information enables abuses of power. In recent decades, governments all over the world have similarly enjoyed the use of euphemism to cloud their actions. Phrases like “neutralized,” “collateral damage,” “suspected militant,” and more have been applied to keep violent realities veiled. Orwell argued that propaganda is more commonplace that we think, and that the government will always be interested in using language to manipulate and distort. Of today’s nations, none can be said to reflect Orwell’s nightmare like North Korea. It’s insular, and all information and communication that comes in is first filtered through the state. It’s xenophobic, and casts the world at large as a vicious enemy. And ultimately, the reward its citizens should receive in turn for their compliance — that of food, education, and the like — is never granted. Yet as North Korea is an exaggeration of all the abuses of power that Orwell feared, every nation on earth has something to share with the abuses of Big Brother. George Orwell knew the nature of power. As the ruling party of 1984 exemplifies, it "seeks power entirely for its own sake. We are not interested in the good of others; we are interested solely in power." But as power will inevitably continue the pursuit of its own expansion, people are not so intransigent. Instead, he suggests that a people should be constantly challenging their government. They must not fall for the doomed exchanges of liberty for security; privacy for safety. While governments will always grab for power, we the people have to make the decision to fight back.